I've been looking at the cost of installing some of those pick-up bed utility racks you see on electrical or plumbing trade vehicles, the ones that extend from end of bed to over the cab. Gives you anchor spot for a stretched tarp or hammock and quite a bit of storage, something pick ups lack if your bed is already full. Would also help keep the cab cooler (or warmer in winter with semi-dead air space). I'm almost committed to this action, but boy, does it make your vehicle look a bit more 'blocky', lol. Anyone have more to add on this modification? 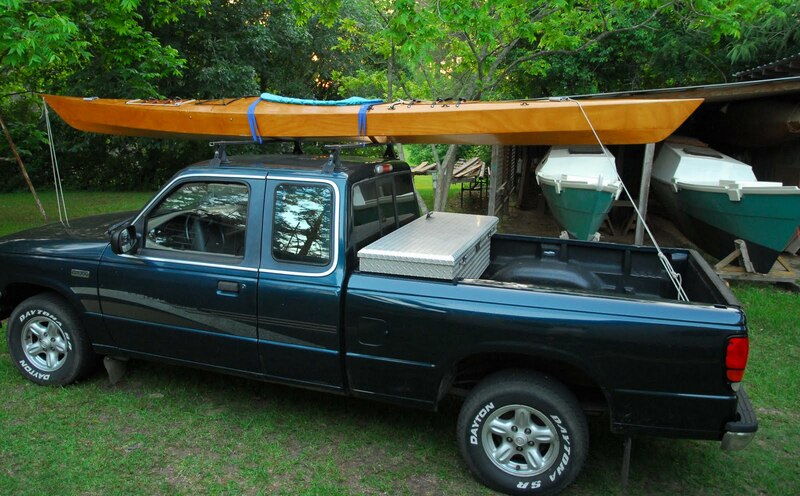 We use our roof racks on on the smaller SUVs (Suzuki XL7 and Chevy Tracker) fairly often when on vacation. There are 4 of us, so most of interior space is taken up - anything bulky we purchase out there can be carried pretty handily. I'm a big believer in roof racks. Thule racks aren't cheap, but they do last. Like you, I've never bothered with the fancy attachments -that's what good rope and a knowledge of knots is for. One year my wife, dog and I traveled in a Dodge Neon with roof racks. We had a Discovery 17 canoe on the racks, with all my cloths packed in dry bags stuffed inside the canoe. We traveled the country for 6 months that way, living out of a tent. Couldn't do it without good racks. We love our Thule too, when taking an extended trip or vacation, but when looking at bug out vehicles, have you ever thought about a pack horse or mule?